As advances in law technology revolutionize today’s legal landscape, the role of the legal professional has evolved. The automation of legal processes has prompted lawyers, paralegals, legal secretaries and other legal professionals to become proficient at an ever-increasing array of word processing, spreadsheet, telecommunications, database, presentation and legal research software. Law technology has impacted every aspect of the legal field, from law firm and corporate practice to courtroom operation and document management. In law firms, electronic billing (“e-billing”) is gradually replacing traditional paper invoices. Technology has also become an important legal marketing tool and new law firm websites and legal blogs spring up daily in cyberspace. Electronic case management has also changed how documents are handled. Firms are now storing voluminous case files electronically and employing databases to track, edit, search, distribute and archive documents. Bickel & Brewer, a Dallas-based law firm, illustrates the extent technology has changed legal processes. “We image virtually everything that comes into the office…every single piece of paper, even a note…then we send the images to our 24-hour staff in India,” says William Brewer, III, the firm’s co-founder and co-managing partner. This system helps organize all firm data and provides a constant universal backup to the firm’s onshore docketing system. Technology is equally important in corporate legal departments. According to Outside Counsel’s 2007 In-House tech survey, more companies are leveraging technology as a key strategic asset. Computer programs exist for almost every corporate function, including filing trademarks and patents, tracking directors' stock holdings, preparing budgets, tracking subsidiary data, creating organizational charts and monitoring outside counsel fees. E-filing - filing documents electronically with the court - has become commonplace and Federal and state courts are posting court filings on web-based databases, allowing counsel to access court documents remotely. A growing number of courtrooms are now equipped with all the bells and whistles of an electronic age. Built-in monitors and equipment facilitate the use of trial presentation software and other technology in the courtroom. Lawyers, paralegals, and other legal professionals are using technology more than ever before, operating database applications specific to their practice area and using video conference tools and other electronic devices to complete daily tasks. While law libraries are not extinct, electronic legal research prevails as the most common method of legal research. Legal professionals use a wide range of legal databases to perform research, verify case law and track data. Westlaw and Lexis/Nexis continue to be among the most widely used legal research databases although new software products are constantly entering the market. 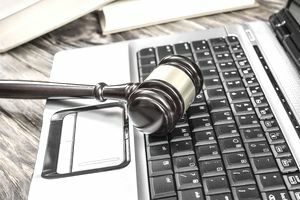 Federal Rules of Civil Procedure enacted in late 2006 have further fueled the need for tech-savvy legal professionals. The new Federal Rules require parties in litigation to preserve and produce documents that exist only in electronic form (“e-documents”) such as e-mails, voicemails, graphics, instant messages, e-calendars and data on handheld devices. The time-intensive process of reviewing and producing millions of pages of electronic information has spawned a new host of litigation database management tools. This database technology allows legal professionals to image, code, analyze, review and manage the massive amounts of electronic evidence, a process called “electronic database discovery” (EDD). E-discovery and the growing use of electronic litigation database tools have even given birth to a brand new profession, the litigation support professional, to implement and manage these new technology tools. Although the conservative legal industry has been slow to embrace technology, it now infiltrates every aspect of law practice. The American Bar Association’s legal blog directory provides more information on technology in the legal field. What Legal Freelance Jobs and Careers Exist?